Not every company needs an outsourcing partner. As a customer experience outsourcing organization (CEOO), this seems like an antithetical statement. But with a track record of having developed and executed countless successful projects, we also know when a company can afford to avoid outsourcing customer-focused areas of its business. To help guide your business through this thought process, we’ve identified the top reasons NOT to work with an outsource partner. 1. You have a surplus of qualified customer care employees. Employers who aren’t struggling with a labor shortage should consider themselves fortunate, and in the minority. A recent report from ADP and Moody’s Analytics highlighted the difficulty most employers are having in filling a record 6.7 million job openings as the economy moves closer to full employment. Customer experience employees like contact center associates and retail salespeople are particularly in demand and hard to keep. Aside from helping companies save time by recruiting and training staff, outsourced partners are useful when employees spend too much time on non-core aspects of the business, like customer care. It’s not usually a priority for most businesses trying to grow market share with their products or services. Yet doing customer care right can make a big difference in customer satisfaction and long-term loyalty. A recent Deloitte report found that 62 percent of companies view customer experience delivered by the contact centers as a competitive differentiator. Customer support services can be performed faster and more effectively by an outside business partner that has the knowledge, expertise, and resources that brands may lack. However, companies whose in-house staff have the expertise and time to juggle numerous critical responsibilities can skip this step. 2. Basic customer service chatbots can handle customer inquiries. If your customers ask the same questions repeatedly, an AI-powered chatbot can proactively support most of your customer success needs. Or, if you conduct an audit and discover that customers are satisfied with the self-service options and rarely reach out, there’s no need to find out how to strengthen customer relationships with a hybrid approach to AI and the human touch to drive complex support resolution. Otherwise, a mix of humans and technology may be an option. Chatbots can’t do everything. They are best saved for simple, repeatable inquiries. But most companies find they need humans to solve more complex issues or escalate when customer outreach doesn’t fit into the linear, programmable world of customer service chatbots. 3. You have customer experience figured out. Your company is knowledgeable about the latest best practices in customer acquisition, success, growth, and trust and safety services that keep your communities and customers satisfied. Your employees are engaged and motivated, which drives long-term loyalty and positively impacts customer interactions. They aren’t looking for ideas on how to understand and better meet the expectations of their customers or prevent fraudulent behavior. You also enjoy researching and comparing different technology solutions in a DIY approach to customer experience while putting business growth on hold. 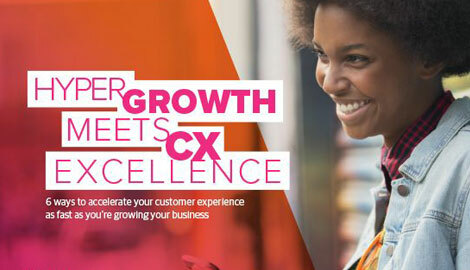 Few companies are experts at customer experience strategy and execution. The space is constantly evolving based on changing customer expectations and customer experience technology enhancements. Even companies that self-report great CX delivery are often contradicted by their own customers. 4. You have a contact center that’s future-ready. Traditional contact centers are micromanaged environments to optimize overall efficiency generally at the expense of customer love. These are circumstances where associates perform routine tasks that are not aligned with customer outcomes, with limited opportunities for growth. Unsurprisingly, turnover rates are high. Traditional call centers also tend to “react” to their customers’ needs versus anticipate, delight, and surprise. But if your associates are already highly motivated, collaborative, and receive excellent training, in addition to being culturally aligned to your values and brand mission, and work flexible hours, there’s no need to work with a forward-looking partner. 5. You can afford to pass costs to your customers. The cost of doing business is rising. In the U.S., the federal minimum wage is $7.25 per hour, but some states have opted to increase it to more than $12.50 (e.g., Washington D.C.), while other states recently enacted laws for even more significant increases. Business Process Outsourcing reduces the “total cost” to service which includes the cost of recruitment, training, performance optimization, rewards, incentives, innovation, and infrastructural development. Companies that forego this option either have a clientele that’s willing to absorb the additional costs or they’ve offset the increased costs with less labor (and less productivity). Meanwhile, companies that get customer experience right can see their business grow, even with an outsource partner. McKinsey research found that improved customer experiences can grow revenue by five to 10 percent—and cost 15 to 20 percent less—over a span of three years. The cost of working with a customer experience outsource partner can be offset by growth in revenue. Outsourcing: Which shore is right for you?